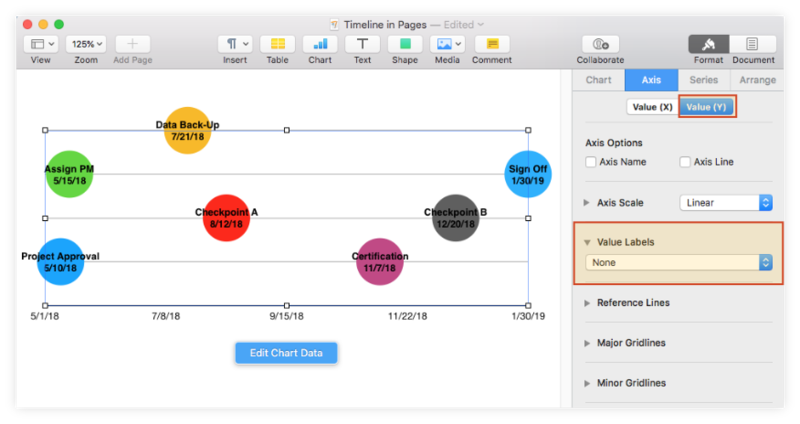 This step-by-step Pages timeline tutorial explains how to make professional timelines using the popular word processor for Mac. 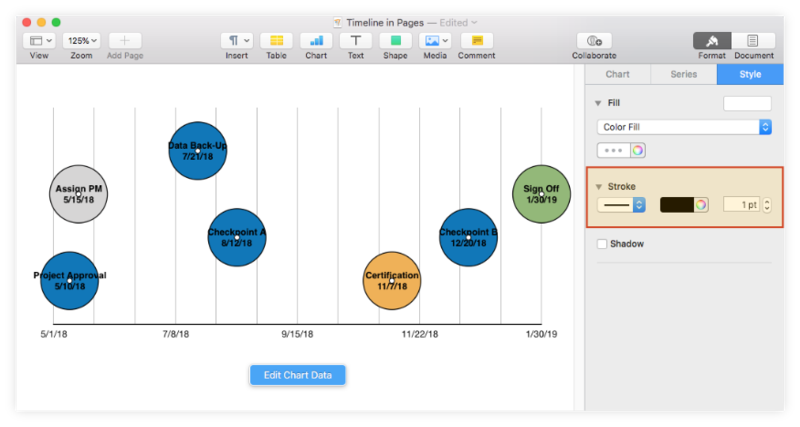 Although primarily designed for processing text, Pages allows Mac users to also create basic timelines starting from a 2D Bubble Chart. However, the resulting visuals require manual formatting, which can prove time-consuming if you need to build more detailed plans or update them regularly. Those who need to produce professional-looking visuals faster can try an online timeline maker such as Pincello to simplify their work. Accessible from any browser, the tool enables you to quickly generate, edit and download your graphic as a native PowerPoint slide, which makes it easy to share and include in presentations. 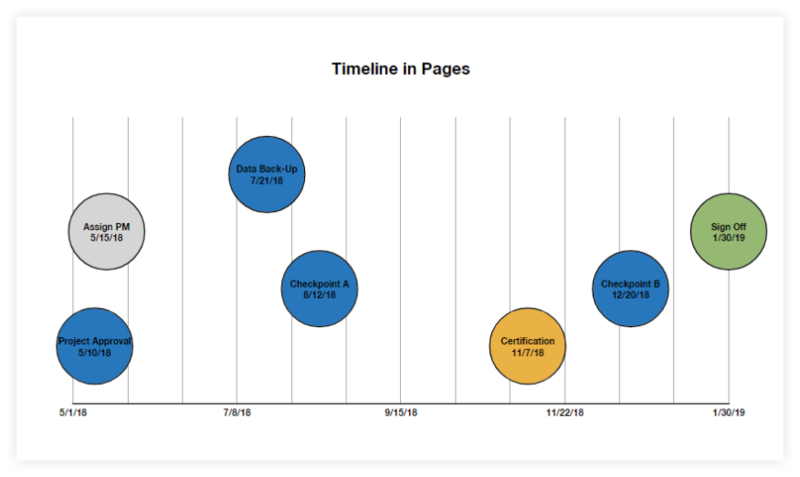 This tutorial shows how to create a timeline both manually in Pages and automatically with Pincello. 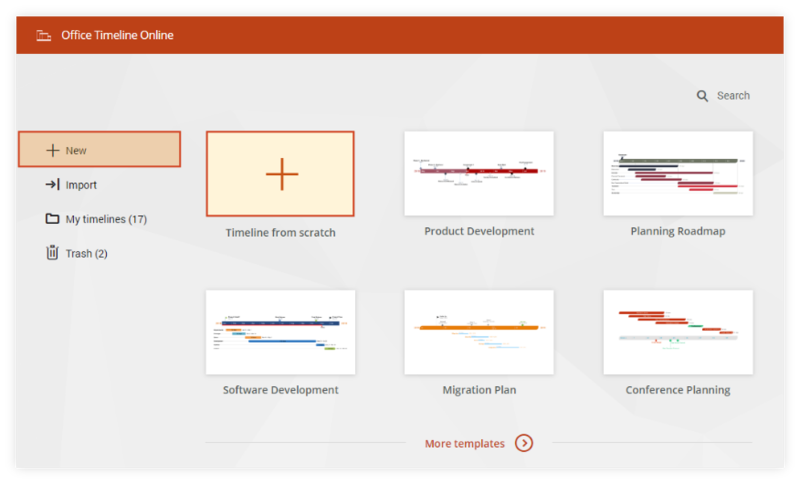 Open Pages and select Blank Landscape from the template gallery to ensure you'll have enough room for your Gantt chart. 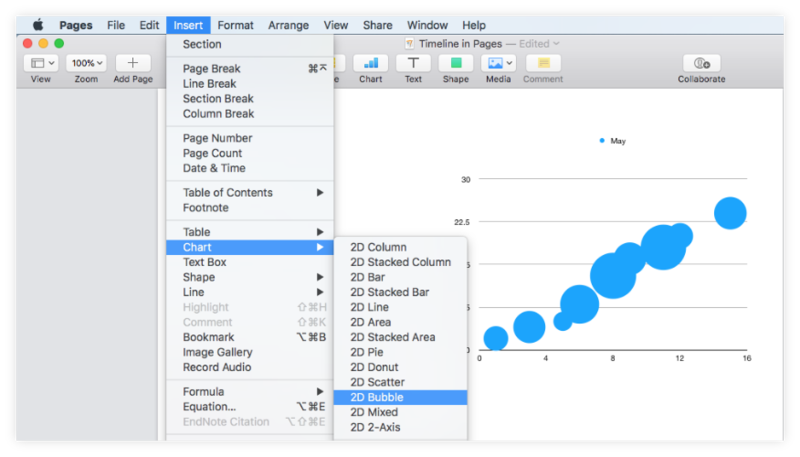 Click on the chart area and then on the Edit Chart Data button that appears. 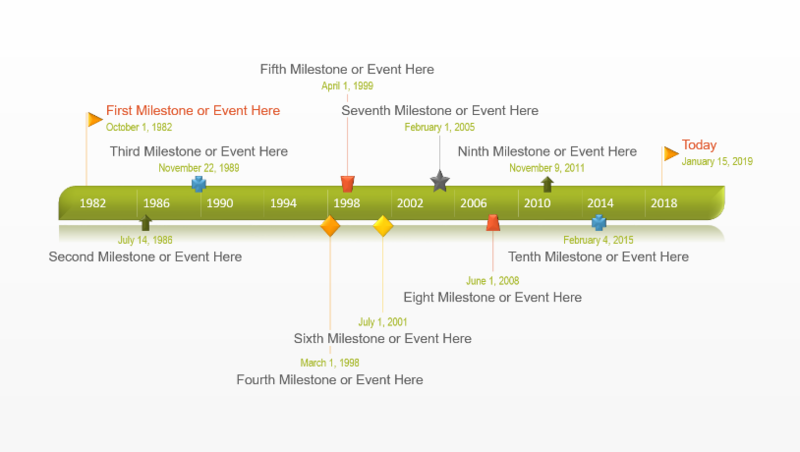 i.List your project’s key events (milestones) in the first row, the one populated by default with the month name. Keep the milestone descriptions as short as possible as these will be later displayed on the graphic and you want them to be fully visible. 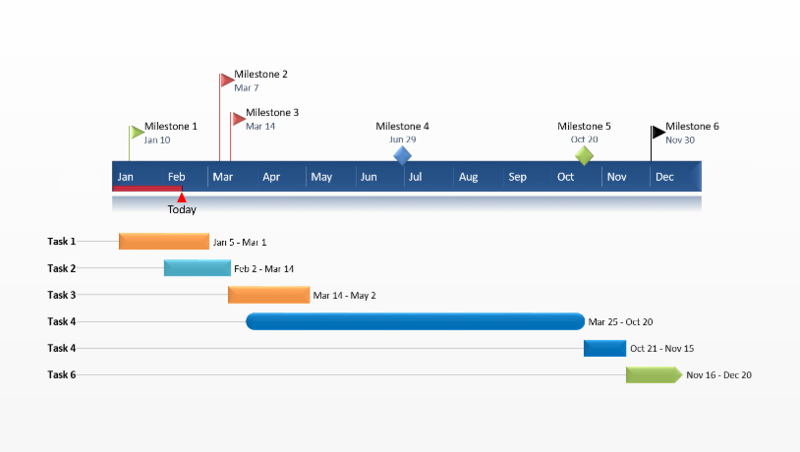 ii.Use the X column to enter the due dates for each milestone, as shown in the image below. iii.In the Y column of each milestone, on the same row of the milestone's due date, add a digit such as 1, 2, 3, or 4. These numbers will act as plotting elements that set the milestone bubbles' vertical positioning on the chart. 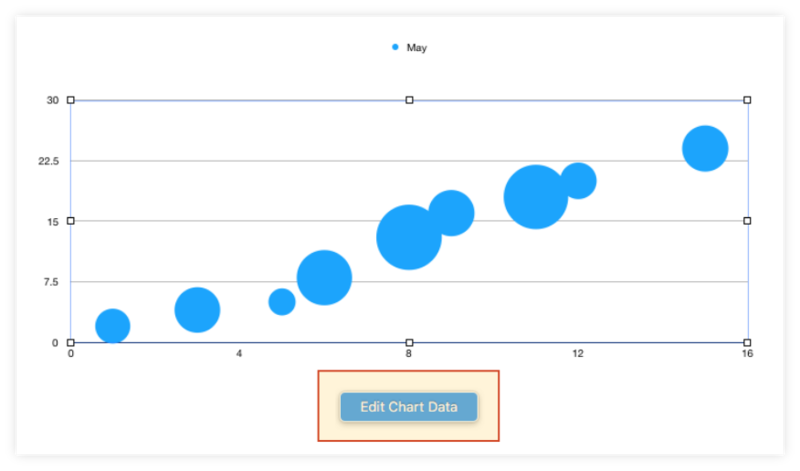 Bubbles that have smaller plotting numbers will be shown closer to the X axis, while those with bigger digits will be placed higher up on the chart. 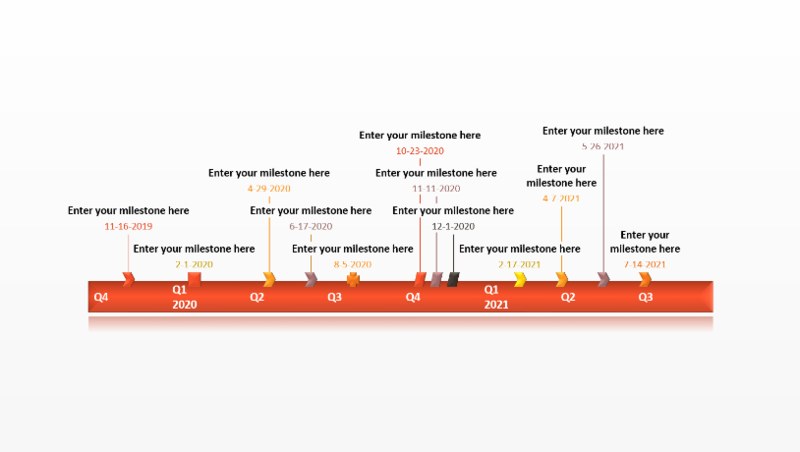 iv.Lastly, in each milestone's Size column, enter a number like 10, 20, 30 to set the size of the corresponding bubble on the timeline. In my case, I used the value 20 for all my milestones. 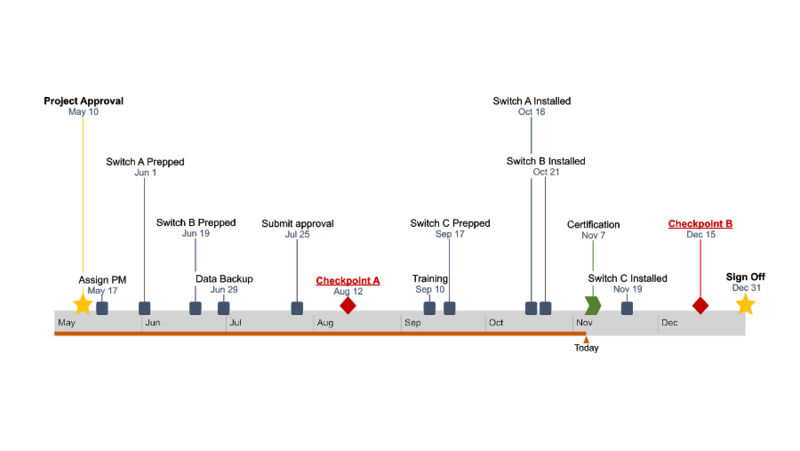 As you may have noticed, Pages has automatically added hours to the time series on the timeline’s horizontal axis. 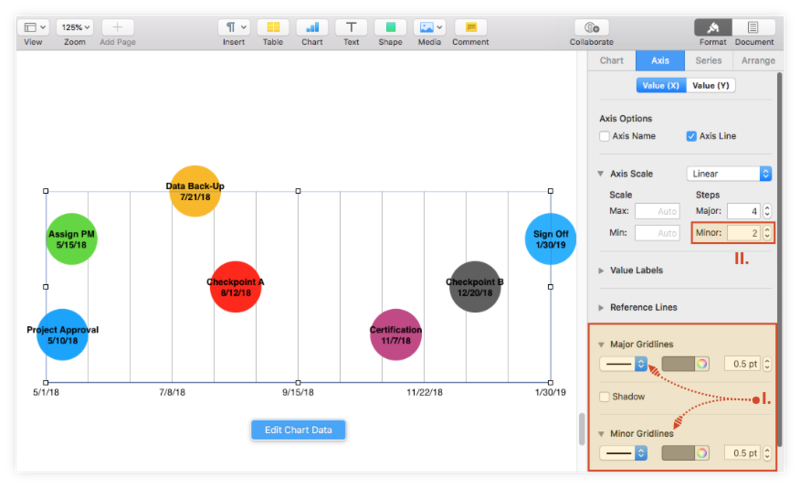 If you want to remove the hours for a cleaner look, select the chart area and then go to Axis → Value (X) in the Format pane on the right. Here, choose None from the Time dropdown menu under Value Labels. i.Remove the legend: Go to the Chart tab and unselect the box for Legend under Chart Options. 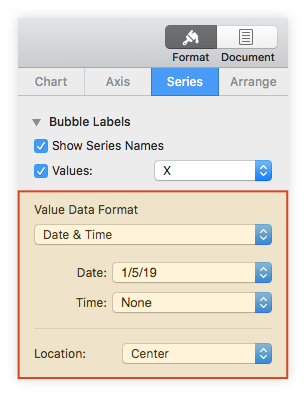 Within the same tab, you can change the labels' position using the Location feature, or their date & time format from the Value Data Format section. In my example, I kept the centered placement of the label, but selected None from the Time dropdown menu. 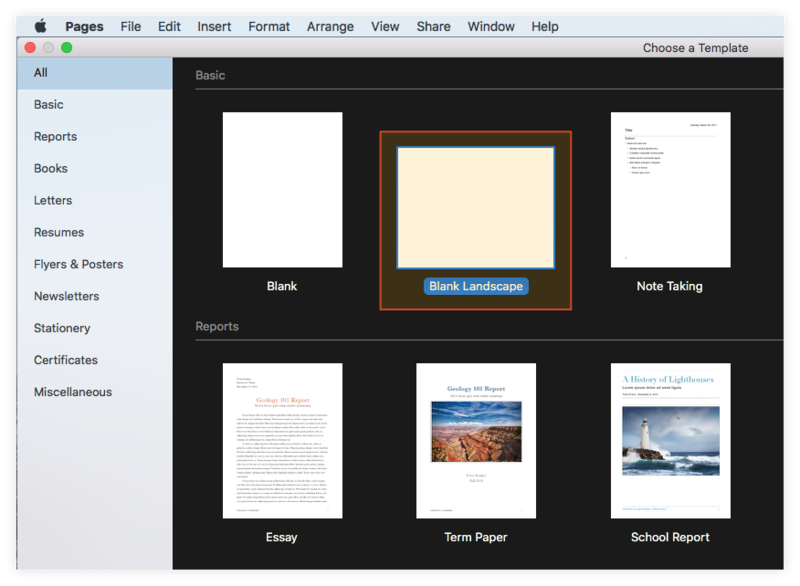 Next, you will need to make the label text more visible by adjusting its size and color. Select all the milestone labels (Shift + Click) and use the Font options within the Bubble Labels tab on the right. I chose to change the font from Regular Helvetica Neue to Bold Helvetica and decrease it from 12 to 10 points. Seeing that the numerical values from the vertical axis overlap some of the milestone titles and don’t add much to the overall meaning of the chart, I decided to remove them. To do the same, go to Axis → Value (Y) and select None from the dropdown menu under Value Labels. You may also want to remove the horizontal lines from the graphic as they aren't really relevant to the timeline. To do this, from the Value (Y) tab, go to Major Gridlines and select None from the dropdown menu. i.Choose the type of gridlines you prefer from the dropdown menus under the Major and Minor Gridlines sections. I opted for straight gray lines of 0.5 points for both of them. 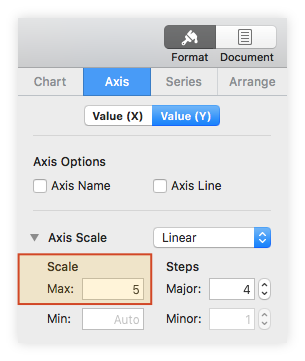 ii.Insert more intermediary vertical lines from the Axis Scale section, increasing the number of Minor Steps. Given that the uppermost milestone of my timeline was not fully included in my gridline area, I corrected that by returning to the Value (Y) tab and setting the Max Scale value under Axis Scale to 5. 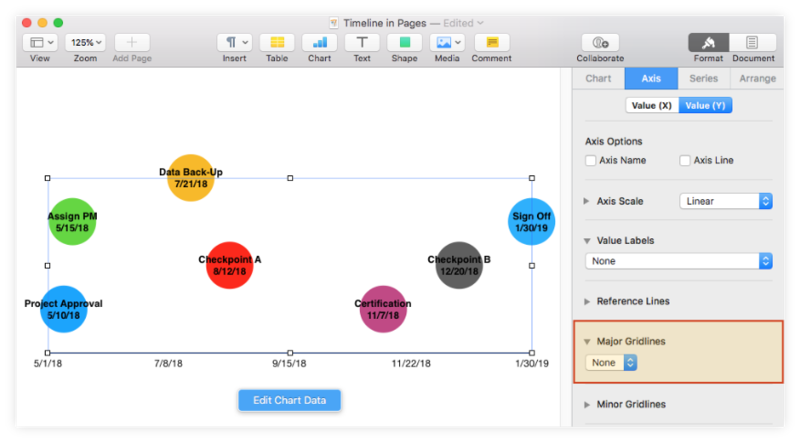 Change the default colors of the chart bubbles - select the milestone you want to recolor, go to the Style tab and use the color indicator next to Fill. Here is how I set the chromatics for my graphic. Add effects - from the same Style section, you can choose to apply a series of effects such as shadows and strokes. Make sure to select all the chart bubbles (Shift + Click) before making the styling change. Since I didn’t want to burden my graphic too much, I only added a simple black outline using the Stroke feature. 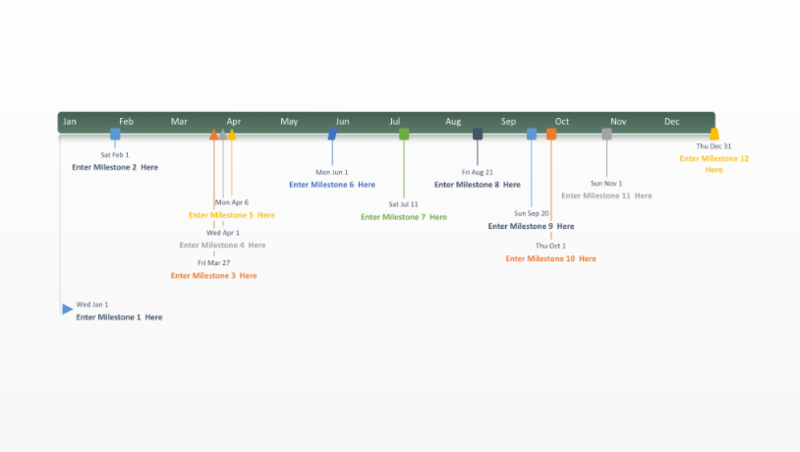 Add a title to your timeline - select the chart area, go to the Chart tab and tick the box for Title under Chart Options. If you want to change the font, size, alignment and color of the title text, double-click on it and use the options from the small pane on the right. 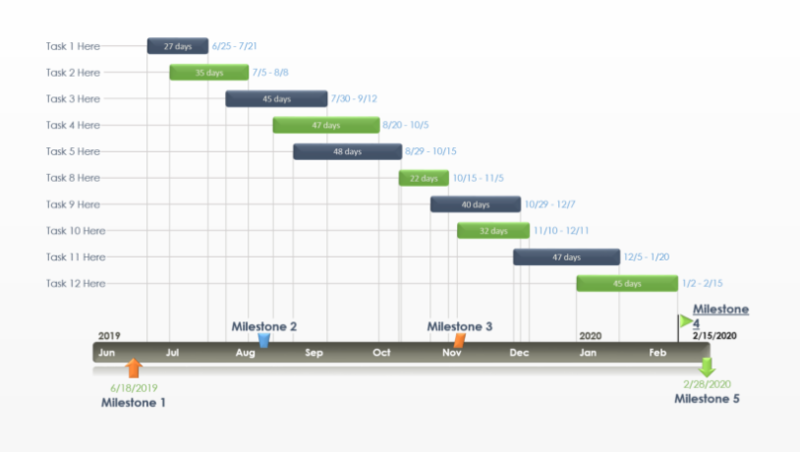 Professionals can illustrate simple plans with timelines built in Pages, but they may encounter limitations in terms of customization and flexibility when dealing with more complex project data. Creating professional visuals that can be easily updated becomes easier with Pincello. Allowing you to automatically generate an eye-catching graphic from any browser, the tool also offers a variety of features to help you quickly customize and update your timelines, which can then be downloaded and shared as a .pptx file or .png image. To get started, access the free online timeline maker here and follow the steps below. 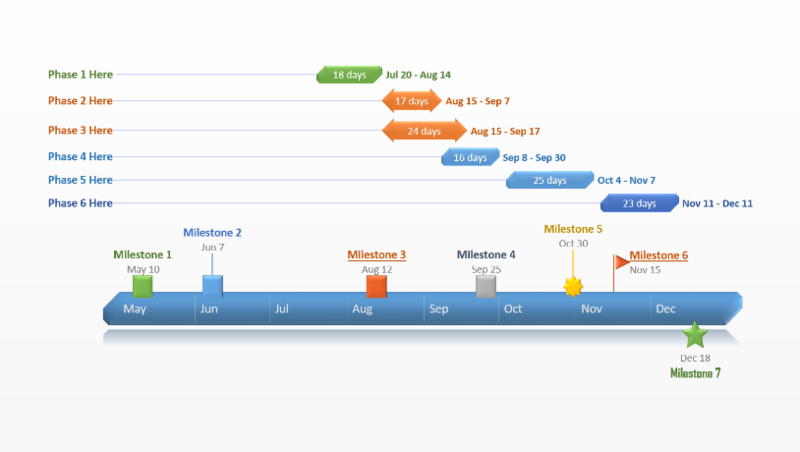 Select Timeline from scratch from the New tab in Pincello to start building your timeline. You also have the option to choose one of the pre-designed templates provided or to import a schedule from an existing Excel file. 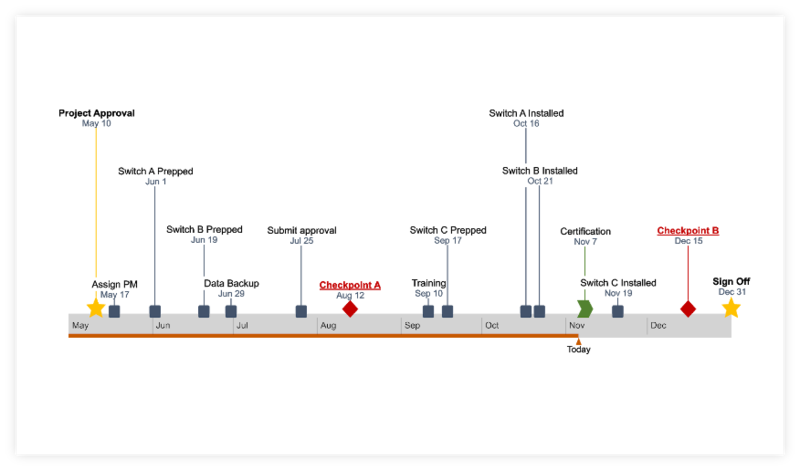 In my example, I chose to make a new timeline from scratch. 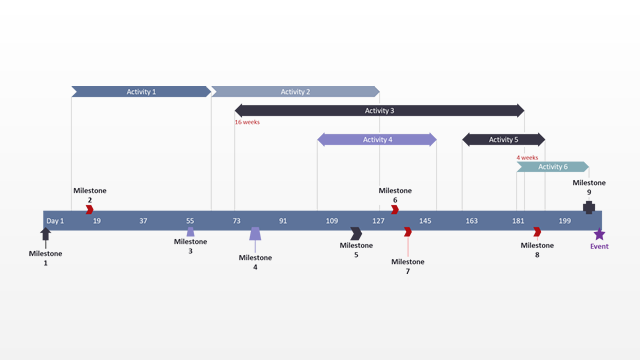 After selecting Timeline from scratch, you'll be taken to Pincello's Data View, where you can enter and edit your project's details. 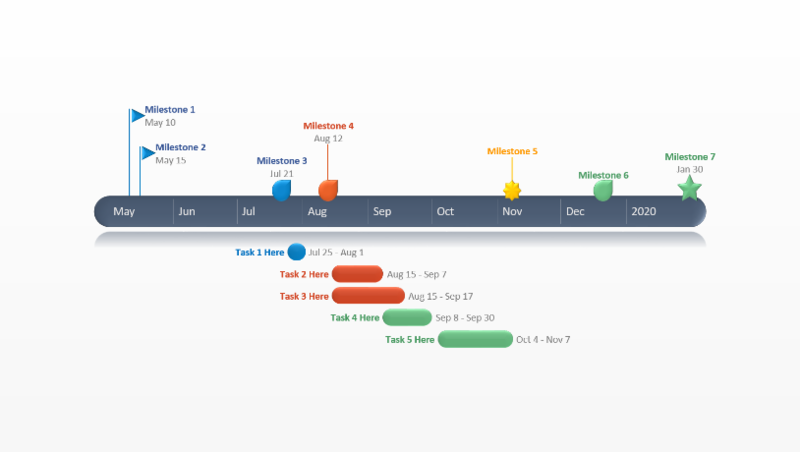 Enter your milestones and their due dates in the Data View section to generate your timeline in real time, the live preview of which can be seen on the right. Using the Data tab, you can also make a few preliminary styling choices, such as selecting the shape and color for each milestone. Once done, you can access your graphic in full size and personalize it further by clicking either on the preview image to the right or on the Timeline tab on the Pincello ribbon. Now that your Pincello timeline has been created, you can easily customize and update it as often as necessary. 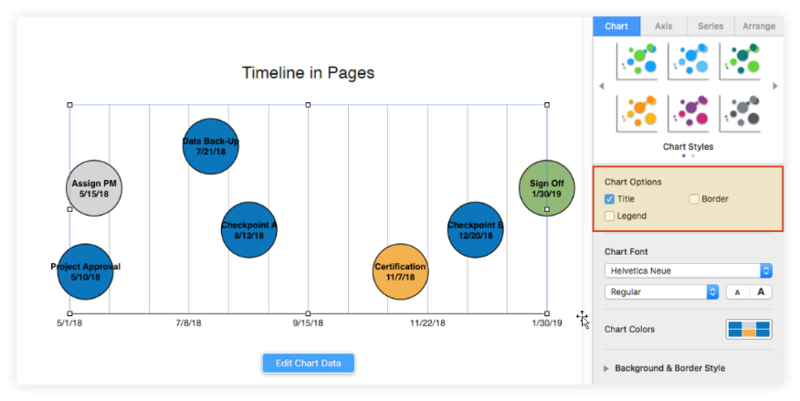 Use the Timeline View to quickly set different colors, shapes, and sizes for your milestones, move them above or below the timeband, or add extras such as Time Elapsed and Today Marker. 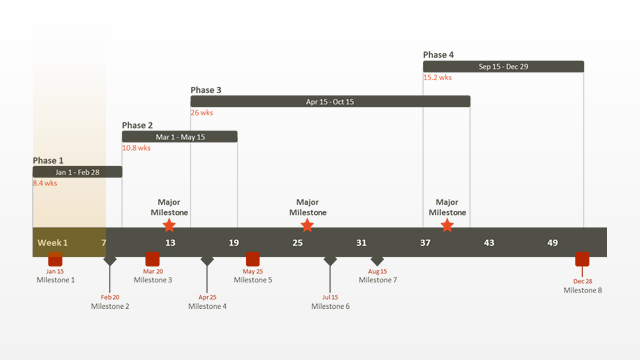 As you can see in the image below, my final timeline includes milestones and texts of different colors and sizes, which helps me draw attention to key details of my plan. If you have a free Pincello account, you can automatically save your timelines in the cloud, access them at any time, and instantly update them when necessary. Add and edit data in the Data tab or adjust due dates directly on the timeline, simply by dragging your milestones left or right. Once ready, your timeline can be downloaded as an editable PowerPoint slide that you can share with colleagues or present in meetings. 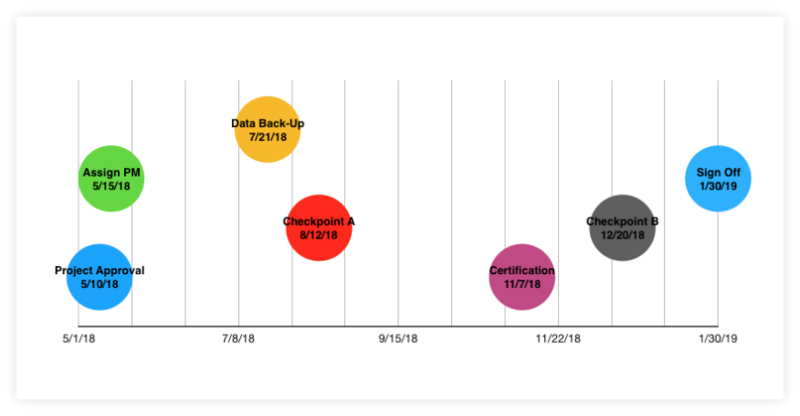 This free timeline template gallery was created to help professionals make clear, visually-appealing timelines for high-level presentations. Click on Download to save the desired template as a .pptx slide and edit it in PowerPoint or, where available, select Edit Online to open and update it easily with our web-based timeline maker.